Business blogging isn’t as easy as it may sound. It can be tough to come up with topics to discuss, a challenge to find ways to make things interesting and nearly impossible to find an hour of your time to keep your blog up and running. You may often find yourself wanting tips before you publish your next blog – and you are not alone. Have you ever asked yourself, will my hard efforts be worth it? Will I ever generate new business? Never starting a business blog or quitting a blog. There are several common mistakes business make online, and not starting a blog is one of them. Starting a blog is hard work – and it requires writing skills, enthusiasm about your business and industry experience. It calls for energy, perseverance and creativity. Remember that your blog won’t produce results right away either; only 8.5 percent of online search traffic makes it to the second page of Google search. Search ranking matters, but it takes time. Keep trucking along though and remember to celebrate every achievement; your blog will boost your web traffic because you are bettering your visibility in Google. It will help you to produce leads at a reasonable cost, provide valuable content, share your expertise in the industry and build authority – plus it will humanize brand. Writing your blog for SEO. Instead of focusing on Google, write your blog for your customers. Too much fretting about Google will kill your creativity and hinder your passions and personality. Use words your customers use, answer their questions, help make their buying decisions, and post quality content your readers can use. Put some pizzazz into your blog posts. Show your passion and use words that explain your opinion. Your blog is your chance to give a face to your business and can help make you approachable. Ditch the corporate jargon and instead, have fun and talk to and help your readers. That’s what they really want. Constantly trying to sell your customers. Just because you are writing to your customers does not mean you need to always be in selling mode. Quit rambling on and on about your amazing products and alternatively, address the problems your customers may have had, discuss what they are looking for, and thoroughly explain the benefits of your services or products. Underestimating the importance of images. Visuals add a lot of zing to your blog posts. They give your pages more an inviting and attractive feel to them. Not only that, but they improve the credibility of your words, and are more memorable than standalone text. Images make concepts simpler to grasp and retain. Remember, images don’t have to be serious all of the time – make them fun on occasion too. Not sharing your blog with others. What’s the point of launching a blog and not telling people about it? Your blog shouldn’t be a secret. Search engine optimization can help you, but certainly isn’t going to get you all of the traffic you want. Refer to your new blog in printed brochures and include the link in your email signature and business newsletter. Share it on social networks too. Starting and maintaining your business blog takes time and effort, but it’s well worth your attention. 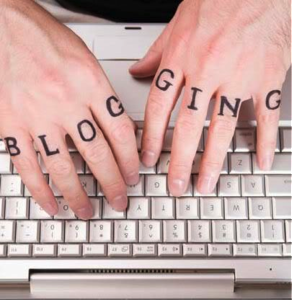 Your blog is a great way to show your personality and engage your fans. It’s a great way to build your authority and share your expertise too. What struggles have you had starting your business blog?